Monte Carlo has restaurants to suit all pockets. 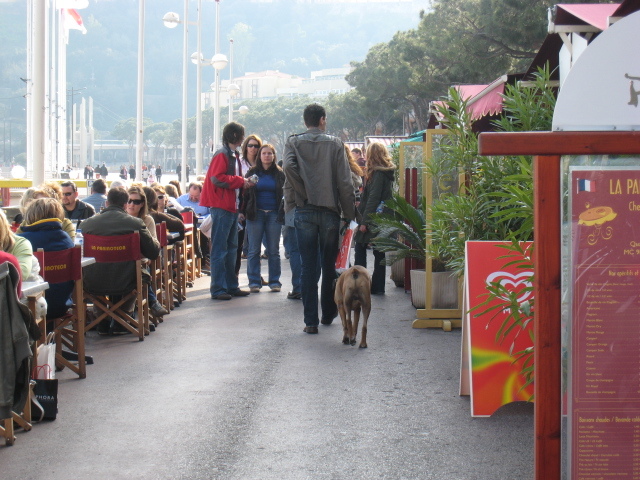 Here you see people taking lunch by the main port of Monaco. Nice photo. I also like that dog. Pretty busy for the off-season...or is your tourist season year-round? how I love the outdoor cafes in Monte Carlo! Looks like there's a table opening up....please hold it for me!! I ate there last Summer with some visitors. We just had a salad but somehow eating it outside made all the difference. Hi from San Diego. Looks wonderful...now can you tell us about the food so that we can be even more jealous?